In previous post , I have defined about two awesome apps that are Mcent & Ladooo. Which give you free recharge by downloading apps to your android phone. For getting recharge from these apps, The task was also simple. Now I have an another app and it is better than other apps. Because you have not to do anything to get recharge. As i have given the intro above so. Now i will define the steps to get free recharge. Steps are very simple. 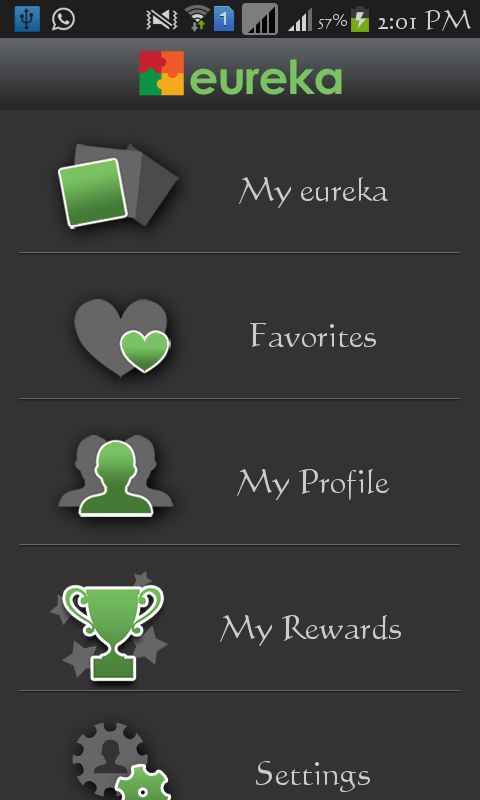 Download Eureka From Play Store. Register an account with eureka. And enter this number 8602670480 in refer number box. Put all information Correctly and proceed to next step. Please use the number given above in refer number. After following above steps you are done and registered with eureka account. After some hour you will get a message from eureka about you login id and password in to your message box and also on registered email id. Turn on the internet connection in your mobile. Then unlock your phone after opening eureka app. Now any time when you unlock your phone, you will see some ads on the display. Like them , participate in the activities. For participating in apps you will get some point and after doing it for 1 month , you will get 150 rupees recharge to you mobile. Waw. Its a great Idea for those who don’t want to pay any thing to recharge their smart phone balance. So don’t worry guys just download this application and earn money online. Thanks (Rahul ) Blogger to write such a great article…..